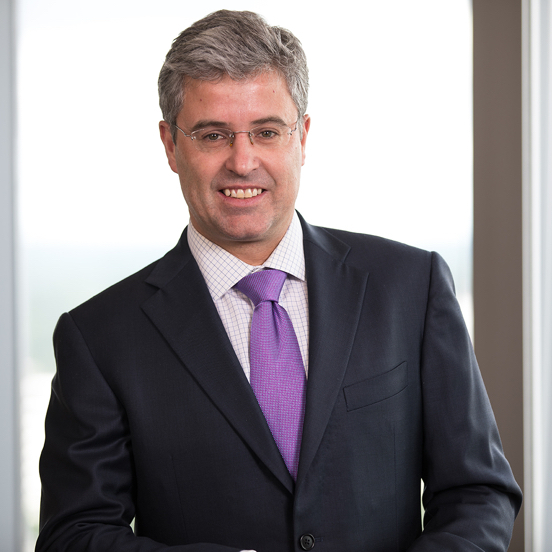 Adrian Cronje, Ph.D., CFA is Balentine’s Chief Executive Officer and Chief Investment Officer. He is also a founding partner of Balentine, Chair of the Investment Strategy Team, and a member of the Management Committee. A CFA® Charterholder, Adrian is an active member of the CFA Institute, contributing frequently on a regional, national, and international level. Adrian’s presentation, “Revisiting the Winners’ Game,” at the CFA Institute’s Asset Allocation for Private Clients conference, was chosen by the CFA Institute to be included in its prestigious publication Conference Proceedings Quarterly. Adrian has been a member of Vistage 151 since 2009 and frequently addresses Vistage audiences across the country. Additionally, Adrian is a charter member of TiE Atlanta, an organization dedicated to fostering entrepreneurship with a focus on giving back to the community. In 2010, the Atlanta Business Chronicle named Adrian one of Atlanta’s “40 under 40,” an honor designating the region’s up-and-coming business and community leaders. Walking away from a comfortable position to join Robert Balentine and my other partners to reconstitute Balentine as an independent firm. It was a huge risk for my young family, but the opportunity to start with a clean slate and build a lasting firm to manage client assets the way in which we would want our own capital to be stewarded has been more rewarding than I could have imaged at the time. Perhaps teaching in some capacity. Nothing is more rewarding than to help someone finally have that “a-ha!” moment. Having studied theoretical economics and applying those concepts in building my own business, I have developed strong opinions of what the textbooks are missing and how academia can benefit from a practical, entrepreneurial perspective. Differentiating ourselves in a perceived “sea of sameness.” Many people believe that independent Registered Investment Advisers, brokers, trust companies, banks, and even consultants offer the “same thing,” when in fact there are important differences in business models and investment philosophies that influence outcomes. Often people spend more time planning their next vacation than planning their investment future. How do you contribute to Balentine’s global perspective? I was born in South Africa, continued my education in the UK, and began my career in London. My wife is from Augusta, GA, so we “split the difference” and decided to raise our family in Atlanta.